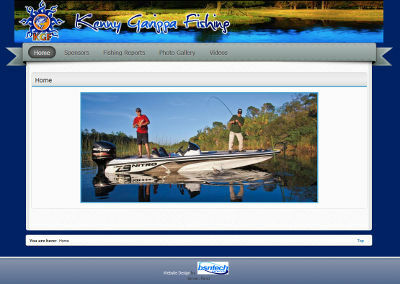 Kenny had contacted us a few months ago in order to create a website for his pro fishing hobby. He needed a full range of services from us – web design, web hosting, domain name, logo design, and even a flash animation to help make his website pop more. The animation and the logo was completed a few weeks ago, and he was very happy about the design created. Today, we have just published his website after he was gone for a few weeks on a tournament. He is now fully ready to use his website and manage it himself! We appreciate the business from Kenny! His website is at kennygarippafishing.com.